You are referred to as the architect of the recent order on making the procedure of appointment of judges public? We passed an order (last week) because every information is important and is presumed to be important to the applicant seeking information. The public has a right to know the parameters and the procedures followed in the appointment of judges. If there is a procedure, the public has a right to know. That’s the spirit behind the order. The Supreme Court refused, saying there was no record of such correspondence. It is strange that no evidence of this exists between a law minister and the Chief Justice of India. Given that there is a stay in the matter by the apex court, we can hope that the order of the CIC will make the correspondence public in 10 days following the issuance of the order. If, despite this, the court says there is no correspondence, then we have to accept it in good faith, for the RTI only deals with written information. Prime Minister Manmohan Singh recently commented that RTI should be critically examined in the light of fears expressed by government servants that it prevents them from freely expressing their opinion? I am sure that the prime minister was told about this by senior bureaucrats. I feel the running of the government is equally important as information about how the government is run. The fears expressed by senior executives of the government should be removed. One often hears that many government servants are wary of allotment of land—for several reasons and most of them prefer not to pass an order for fear of being questioned about it later. I think we should sit up and think on how to reverse this fear. I think the prime minister has expressed a concern that needs careful thought. In the meantime, no proposal has come forth on modifying the rules of RTI, neither has an attempt been made to abridge it from any quarter. I keep requesting them to make maximum public disclosures. What kind of information the different wings of the government hold which should be in the public domain is mandated under Article 4(1) of the RTI Act. Once the rules and responsibilities and the allocation of business rules are out there in the open, for all such appointments are made in the name of the President of India, it makes information all the more accessible to the general public. In the last three years that I have held office, I don’t see any need to add to the exemption clauses that are already provided for in RTI. And in case of doubt, we accept the limits of any law by the courts of the land. As the Right to Information Act (RTI) celebrated the sixth year of its coming, there has been much heated discussion, often emotional, of the benefits that it has brought and also the challenges with which it has confronted government. This debate came to a head with the prime minister’s inaugural address to the Annual Convention of the Central Information Commission on October 14. But for whom are the benefits intended? We know that infrastructure in India is woefully inadequate despite privatisation; employment growth of 2.1 per cent in 1983 had in fact declined to 1.84 per cent in 2004; in the health sector there are regional, socio-economic, caste and gender-based disparities; Centre-state fiscal relations are a matter of concern; an institutional framework for public-private partnership is still to be developed; access to justice is not universal despite the rise of panchayati raj. Finally, because of the demands of national security versus social security and individual freedom, the essence of democracy, which respects the sovereignty of individual liberty, is vague at best. Some of these challenges, specifically the need to address threat to whistle-blowers, were cited by Dr Manmohan Singh in his address. Transparency and accountability in the working of every public authority. The right of any citizen of India to request access to information and the corresponding duty of the government to meet the request, except the exempted information. The duty of the government to proactively make available key information to all. Clearly then, this law places a responsibility on all sections of the national fabric: citizenry, NGOs and the media. The responsibility is not that of government alone. This brings into context the PM’s call, on October 14, to all participants in the process to flag the challenges that government and the citizenry face in applying the law. What must follow then is the obligation so clearly enunciated in Section 4 (1) of the Act. by notification issued or order made by the appropriate government, and includes any body owned, controlled or substantially financed; non-government organisation substantially financed, directly or indirectly by funds provided by the appropriate government. The right to information includes the right to inspect works, documents, records, take notes, extracts or certified copies of documents or records, take certified samples of material, obtain information in form of printouts, diskettes, floppies, tapes, video cassettes or in any other electronic mode or through printouts. It does not extend to information not held in material form. Information received in confidence from foreign governments. Information which relates to personal information, the disclosure of which has no relationship to any public activity or interest, or which would cause unwarranted invasion of the privacy of the individual; infringes copyright, except of the state. Where practicable, part of record can be released. Intelligence and security agencies are exempt — except cases of corruption and human rights violation. Third-party information to be released after giving notice to third party. It needs, however, to be noted that under the proviso contained in Section 8(2), notwithstanding any of these exemptions or indeed the Official Secrets Act 1923, a public authority may still allow access to information, if public interest in disclosure is deemed to outweigh the harm to the protected interests. And most exempt information is, at any rate, to be released after 20 years, with some exceptions, although also provided that the information, which cannot be denied to Parliament or a state legislature shall not be denied to any person. Unfortunately, on this provision there has been no endeavour by government despite pronouncements of the Central Information Commission, thus making more complicated for itself government’s responsibility in keeping information secret. What is noteworthy is that this law specifically seeks universal access, especially to the poor. It is, of course, open only to citizens of India, as per Section 3, but the fee is also required to be at a reasonable level, although the quantum is specified only by rule, and there is no fee for BPL persons. Assistant public information officers are required at sub-district levels to facilitate the filing of applications and appeals. Hence, heads of post offices have been given this authority by the Central government. There is no need to specify a reason for seeking information or to provide any other personal details. There is a provision that the PIO reduce oral requests into writing and for the PIO to provide all required assistance, including to disabled persons. Information is to be provided in local languages. There is provision for damages. This placed a host of responsibilities on public authorities, who were required to appoint PIOs/assistant PIOs within 100 days of the RTI enactment and to begin maintaining, cataloguing, and indexing, computerising and networking records in accordance with Section 4(1) (a). If this has not happened to the extent required, the government, which appoints CPIOs from officers at a relatively junior level, has only itself to blame. These authorities were to publish, within 120 days of enactment, a whole set of information, and update it every year. This was to include publishing suo moto all relevant facts while formulating important policies or announcing the decisions which affect the public, and also providing reasons for its administrative or quasi-judicial decisions to all affected persons. Authorities were made primarily responsible for raising awareness, educating and training officials and the public. Every department was expected to develop and organise educational programmes to advance the understanding of the public, particularly the disadvantaged, to exercise the right to information. Not having done so, the government can hardly blame the public for misuse. Government was thus to encourage public authorities to participate in programmes, promote timely and effective dissemination of accurate information, train PIOs and produce relevant training materials. To achieve this, government has developed a scheme for e-governance. It is agreed that for the success of this initiative, RTI is essential. Here there has been progress, but only at the level of the Centre. Key to the effective functioning of the Act is the Gram Panchayat, which can be the repository for scheme information, citizen surveys, fiscal information, etc. But this will happen only with the devolution of functions, funds and functionaries. This body can then become the service provider for over-the-counter services, certificates, taxation, billing, licences, ration cards, and a host of such services at the grassroots, working to keep the citizenry informed as a group (Gram Sabhas) and as individuals, whose concerns and questions can also be appropriately addressed by reference to the relevant authority. This would ensure better feedback and accountability. Ministers involved in sports bodies oppose the Sports Development Bill. Sharad Pawar sees it as an attempt to bring the BCCI under the RTI. THE organised wails and breast-beating of members of the Union Cabinet holding high offices in sports bodies, at the Cabinet meeting on August 30, reminds one of a similar spectacle enacted by Zamindars over half a century ago, when Bills for abolition of the Zamindari system were introduced in State legislatures. This time the tamasha was over the National Sports Development Bill, 2011, which Minister for Sports and Youth Affairs Ajay Maken tabled for discussion in the Cabinet. The strongest opposition came from Agriculture Minister Sharad Pawar, who threatened to take up the matter with the United Progressive Alliance (UPA) chairperson Sonia Gandhi and ask her to discuss it in the UPA coordination committee: “[T]ell [ sic] her to allow me to follow my party’s decision during the voting on the Bill” ( The Times of India, August 31). The confidence with which he anticipated the decision of his party, the Nationalist Congress Party (NCP), says a lot for that party and for him. The shrillest of the mourners was Farooq Abdullah. As has been pointed out earlier in this journal, citing authoritative dicta by constitutional authorities, Ministers who are affected personally by a proposed measure have absolutely no right to be present at the Cabinet meeting that is to discuss the measure. The vice is not cured one bit by “disclosure of interest”, quite apart from the fact that the interest was only too well known. (“A flawed waiver”, Frontline, May 6, 2011). 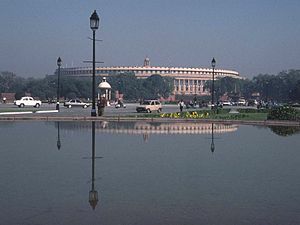 Rule 255 of the Rules of Procedure of the Lok Sabha provides that if a member of a committee of Parliament has a “personal” or “direct interest” on a matter to be discussed, he shall, on the Speaker’s finding to that effect, “ cease to be member thereof forthwith”. “In the first place, it is plain that in no circumstances must a man who holds the position of a Minister ever allow himself to be in such a situation that his public duty will conflict with his private interests…. The second principle is that no man should allow himself to occupy any portion of the time which he is bound to devote to his public duties in a disregard of his public duties, and pursuing any private interest whatever, whether it is in playing golf or in the nature of business. “The third principle is that inasmuch as the secrets of the government are specially in charge of Cabinet Ministers, no Minister, and particularly no Cabinet Minister, must in any circumstances put himself in a position where he is not able to be the complete guardian of those secrets in that there is any possibility of any private interests being served through a knowledge of those secrets” (324-C. Debates Ss., 1220). What is the lure of power over sports bodies that drives politicians to seek that power while grasping simultaneously at state power? In this category fall also Praful Patel, Vilasrao Deshmukh, C.P. Joshi, Farooq Abdullah and Arun Jaitley. The Sports Minister replies: “Section 6(1) Clause only relates to those federations which are funded by the government. After all, the Ministry has a right to see how its funds are utilised. But the provision is not applicable for bodies like the BCCI, which does not take grant-in-aid from the government” ( Indian Express, September 1). A provision of the draft Bill says: “Every national sports federation (this includes the BCCI) shall every year before December 21 publish on its website audited annual financial statements, comprehensive report of its activities and achievements.” What objection can any sports federation possibly have to such a provision? Sports federations, the BCCI included, select national teams for participation in matches abroad. In the very nature of things, there has to be a certain liaison between the state and the federations. The BCCI is accepted internationally only because it is seen internationally to enjoy a measure of official backing and support. Without these its clout would dissipate. We have to steer between the Scylla of politicians’ corrupting control and the Charybdis of state control, which will cripple sports. Some legislation is overdue. One must consider first the legal status of the BCCI and, relatedly, its behaviour. There are four rulings on its status. One is by the Delhi High Court. The other three are by the Supreme Court: (1) BCCI vs Netaji Cricket Club and Ors. (2005) 4 Supreme Court Case 741 decided by Justices N. Santosh Hegde and S.B. Sinha on January 10, 2005. Only a few days later, on February 2, 2005, they split; each pronouncing for the differing judges (3-2), a narrow majority, in (2) Zee.Telefilms Ltd & Anr vs Union India & Ors. (2005) 4 SCC 649, and, lastly, (3) A.C. Muthiah vs BCCI & Anr (2011) 6 SCC 617 decided on April 28, 2011, by Justices J.M. Panchal and Gyan Sudha Misra. They differed and referred the matter to the Chief Justice of India “for being assigned to an appropriate Bench”. Thus, despite the three cases, the issue of the BCCI’s status remains to be decided finally, one hopes by a larger Bench. The final result is unlikely to please the zamindars of the BCCI, judging by the reasoning of the eminent judges who ruled on the issue. It is best to quote their words at some length. Part III of the Constitution, embodying the Fundamental Rights, applies only to “the state”, not to private individuals or associations. Article 12 defines what “the state” means in this context. It covers the Central and State governments and legislatures and “all local or other authorities within the territory of India or under the control of the Government of India”. The Supreme Court interpreted Article 12 to cover a host of bodies so that the citizen can enforce his fundamental rights against them. Is the BCCI a state so defined? The BCCI was formed in 1928, as an unregistered association of persons. It was registered in 1940 under the Societies Registration Act, 1860, a Central statute. It was later registered under the Tamil Nadu Societies Registration Act, 1975, which came into effect on April 22, 1978. “The Board is a society registered under the Tamil Nadu Societies Registration Act. It enjoys a monopoly status as regards regulation of the sport of cricket in terms of its Memorandum of Association and Articles of Association. It controls the sport of cricket and lays down the law therefor. It inter alia enjoys benefits by way of tax exemption and right to use stadia at nominal annual rent. It earns a huge revenue not only by selling tickets to viewers but also selling right to exhibit films live on TV and broadcasting the same. Ordinarily, its full members are the State associations except Association of Indian Universities, Railway Sports Control Board and Services Sports Control Board. As a member of ICC [International Cricket Council], it represents the country in the international fora. It exercises enormous public functions. It has the authority to select players, umpires and other officers. The Rules of the Board clearly demonstrate that without its recognition no competitive cricket can be hosted either within or outside the country. Its control over the sport of competitive cricket is deeply pervasive and complete. Zee Telefilms Ltd vs Union of India was decided by a Bench of five judges. It squarely concerned the issue whether the BCCI fell within the definition of “the state” in Article 12. The Bench split narrowly. Justice Santosh Hegde delivered the judgment for himself and Justices B. Singh and H.K. Sema, while Justice S.B. Sinha delivered the dissent on his own behalf and on behalf of Justice S.N. Variava. “However, it is true that the Union of India has been exercising certain control over the activities of the Board in regard to organising cricket matches and travel of the Indian team abroad as also granting of permission to allow the foreign teams to come to India. But this control over the activities of the Board cannot be construed as an administrative control. At best this is purely regulatory in nature and the same according to this court in [the] Pradeep Kumar Biswas case is not a factor indicating a pervasive state control of the Board. “Be that as it may, it cannot be denied that the Board does discharge some duties like the selection of an Indian cricket team, controlling the activities of the players and others involved in the game of cricket. These activities can be said to be akin to public duties or state functions and if there is any violation of any constitutional or statutory obligation or rights of other citizens, the aggrieved party may not have a relief by way of a petition under Article 32. But that does not mean that the violator of such right would go scot-free merely because it or she is not a state. Under the Indian jurisprudence there is always a just remedy for the violation of a right of a citizen. Though the remedy under Article 32 is not available, an aggrieved party can always seek a remedy under the ordinary course of law or by way of a writ petition under Article 226 of the Constitution, which is much wider than Article 32.” The gap between this view and the minority view is not wide. Article 226 confers on High Courts power to issue “to any person or authority” and “any government” writs for the enforcement of the fundamental rights “and for any other purpose”. Article 32 empowers only the Supreme Court to issue writs for the enforcements of the fundamental rights. The majority very well knew that the Supreme Court has driven a coach-and-four through Article 32. It has issued writs for all manner of purposes. It would be unsafe for the BCCI to bank on the majority view with its explicit recognition that the BCCI does exercise “ public duties or state functions”. How then can it object to Central legislation? Justice Sinha observed: “The Board [BCCI] while enjoying monopoly in cricket exercises enormous power, which is neither in doubt nor in dispute. Its action may disable a person from pursuing his vocation and in that process subject a citizen to hostile discrimination or impose an embargo which would make or mar a player’s career. 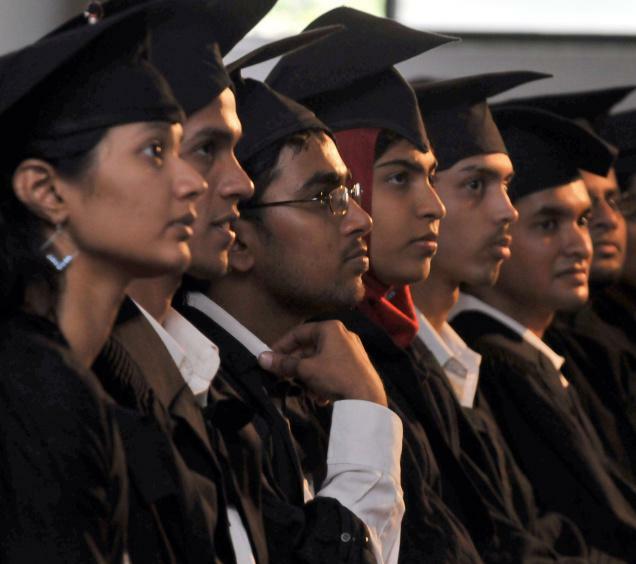 The right to pursue an occupation or the right of equality are embedded in our Constitution, whereby citizens of India are granted much higher right as compared to the common law right in England. A body although self-regulating, if it performs a public duty by way of exercise of regulatory machinery a judicial review would lie against it. The question has since been considered from a slightly different angle, viz., when such action affects the human right of the person concerned holding that the same would be public function. If the action of the Board impinges upon the fundamental or other constitutional rights of a citizen or if the same is ultra vires or by reason thereof an injury or material prejudice is caused to its member or a person connected with cricket, judicial review would lie. Such functions on the part of the Board being public functions, any violation of or departure or deviation from abiding by the Rules and Regulations framed by it would be subject to judicial review. Time is not far off when having regard to globalisation and privatisation the rules of administrative law have to be extended to private bodies whose functions affect the fundamental rights of a citizen and who wield a great deal of influence in public life.” The logic is unanswerable. Justice Sinha proceeded to analyse the government’s guidelines. “Annexure II appended to the guidelines provides for recognition of national sports federations, inter alia, by laying down the eligibility therefor and the necessity of filling of applications in that behalf. Clause 3, 12, reads as under: ‘There would be only one recognised federation for each discipline of sport, irrespective of the fact that the particular sport caters to youngsters, men, women or veterans. ‘However, this condition shall not apply to federations already recognised by the Department.’ Clause 5 provides for grant of recognition. Annexure III appended to the said guidelines provides for the procedure for suspension/withdrawal of recognition and consequences thereof. The guidelines also prescribe forms required to be used by the federations for different purposes. “The Board for all intent and purport was a recognised body. Probably in that view of the matter, the Board did not think it necessary to apply for grant of such recognition by the Union of India, asking it for passing a formal order. However, the Board had all along been obtaining the requisite permission for sending an Indian team abroad or for inviting a foreign team to India in the prescribed form. …a number of documents have been annexed, which clearly go to show that from the very beginning the Board had been asking for the permission of the Ministry of Human Resource Development either to go abroad or to play or participate in other countries or for inviting the others to play in India. Such permission had been sought for in the form prescribed in terms of the said Regulations. The said documents leave no manner of doubt that the Board had asked for and the Union of India had granted de facto recognition.” So much for the objection to the government’s power of “recognition”. Read this: “A body which carries on the monopolistic function of selecting a team to represent the nation and whose core function is to promote a sport that has become a symbol of national identity and the medium of expression of national pride, must be held to be carrying out governmental functions. A highly arbitrary or capricious action on the part of such a powerful body would attract the wrath of Article 14 of the Constitution. The Board itself acted as a representative of the Government of India before the international community. It makes representations to the effect that it was entitled to select a team which represents the nation as a cricket-playing country, and, thus, the same would, without anything more, make its action a state action. For the said purpose, actual control of the Board or issuing any direction in that behalf by the Government of India is not of much significance, but the question as to whether the government, considering the facts and circumstances, should control the actions of the Board as long as it purports to select a team to represent India would be a matter of great significance. “The guidelines issued by the Union of India clearly demonstrate its concern with the fall in standard of Indian teams in sports in important international sports events. It would not be correct to draw a comparison between an event of international sport as significant as cricket with beauty pageants and other such events as the test necessary to be evolved in this behalf is the qualitative test and not the quantitative test. The quality and character of a sport recognised as a measure of education and nation-building (as a facet of human resource development) cannot be confused with an event that may be a form of entertainment. Cricket, as noticed hereinbefore, has a special place in the hearts of citizens of India. “The monopoly status of the Board is undisputed. The monopoly enjoyed by the Board need not be a statutory one so as to conform to the tests contained in Clause (6) of Article 19 of the Constitution. It can be a de facto monopoly which has overtly or covertly received the blessings of the Union of India. The de facto monopoly of the Board is manifest as it, as a member of ICC (even if it is technically possible to float any other association), can send an Indian team abroad or invite a foreign team to India. In the absence of recognition from the ICC, it would not be possible for any other body, including the Union of India, to represent India in the international cricket events featuring competitive cricket…. “The Board which represents a nation with or without a statutory flavour has duties to perform towards the players, coaches, umpires, administrators and other team officials. They have a duty to create safe rules for the sport, if by reason thereof a physical injury to the player is to be avoided and to keep safety aspect under ongoing review. A body may be autonomous but with autonomy comes responsibility. Sport is a ‘good thing’ wherefor a societal end is to be provided. Sport must receive encouragement from the state and the general public or at least not be discouraged. Health, sociability and play are considered to be important values to be recognised in a human. “Having regard to the nature of activities, viz., the Board represents a sovereign country while selecting and fielding a team for the country with another sovereign country, promoting and aiming at good relations with the said country as also peace and prosperity for the people, even at the domestic level the citizens of the said country may be held to be entitled to the right to invoke the writ jurisdiction of this court even if hereby no personal fundamental right is directly infringed. The third case arose out of a suit filed by A.C Muthiah, a former president of the BCCI, against the BCCI. It had invited Indian Cements Ltd., based at Chennai and represented by its managing director N. Srinivasan (respondent 2), to participate in the auction conducted by the Indian Premier League (IPL). Srinivasan was also the hon. treasurer of the BCCI and president of the TNCA. He was awarded the franchised IPL rights for ownership of Chennai Super Kings team by the BCCI. Muthiah alleged conflict of interest and filed a suit in the Madras High Court for various reliefs. Srinivasan participated in the Annual General Meeting of the BCCI held in Mumbai on September 27, 2008, since the court had not granted a temporary injunction. 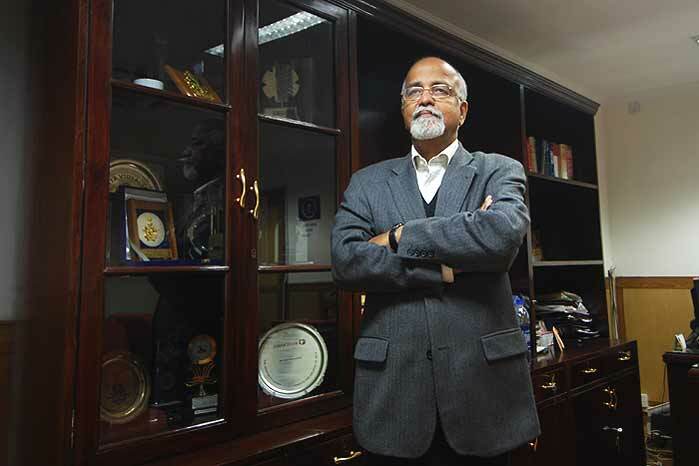 More, he was also elected secretary of the BCCI. On the same day, Clause 6.2.4 of the Regulations for Players, Team Officials, Managers, etc., was amended with immediate effect to cover the plea of conflict of interest. It now read: “No administrator shall have directly or indirectly any commercial interest in the matches or events conducted by [the] BCCI excluding events like IPL or Champion League Twenty 20” (emphasis added, throughout). Muthiah sued again to have the amendment declared void as being made mala fide. The matter eventually reached the Supreme Court. Justice Panchal not only held that the BCCI was not “the state” but opined in the teeth of the record that the Netaji Club case was “no longer good law” in view of the ruling in the Zee Telefilms case. There was nothing to prevent the Bench in the latter case from saying so. It had not. Indeed, Santosh Hegde’s remarks quoted above came very close to Justice Sinha’s. More to the main point: “It would be difficult to overlook that multiple loyalties can create commercial interest with the activities of BCCI, thus resulting in conflict of interest since the financial or personal interest of the Board would clearly be inconsistent with the commercial and personal interest of the administrator of the Board. In addition, the rule of equity and fairness provides that no one who stands in a position of trust towards another can in matters affected by that position, advance his own interests, for example, by trading and making a profit at that other’s expense as the rule of legal prudence mandates that once a fiduciary is shown to be in breach of his duty of loyalty, he must disgorge any benefit gained even though he might have acted honestly and in his principal’s best interest. In the instant matter, when BCCI held auction for owning IPL team and an administrator, respondent 2, participated in the bid, variety of real and/or perceived conflict of interest cannot be ruled out. These included access to insider information, possible undue influence on the decision-makers who held the auction, and the like.” The BCCI was clearly guilty of gauche manoeuvre. This is not the conduct of one as pure as driven snow. The BCCI’s status and its conduct cry for legislation. The former’s uncertainty must be removed. Excesses like the latter must be curbed. The Jagmohan Dalmiya and Lalit Modi power struggles in the BCCI tell their own tale. First the definition of “public authority” in Section 2 (h) of the Right to Information Act, 2005 must be widened to include “any body which receives aid and assistance from the government whether by user of government-owned land for services, of a government agency”. To put the matter beyond doubt, the BCCI can be mentioned explicitly in this amendment – or in the proposed Bill. Some genius in the Sports Ministry prepared an 81-page note for the Cabinet claiming that Parliament can legislate by invoking entries 10 and 13 of the Union List ( DNA, August 31). This is utterly false. These entries relate, respectively, to “foreign affairs” and “participation in international” fora. “Sports” is a State subject exclusively under Entry 33 of the State List. Equally wrong would it be to invoke Entry 25 in the Concurrent List on “education”, stretching it to cover sports despite its explicit mention in the State List. However Entry 63 of the Union List empowers Parliament to legislate in respect of any “institution declared by Parliament by law to be an institution of national importance”. The BCCI fits the Bill even more than the Indian Council of World Affairs for which it was invoked. Even in the U.S., the haven of private enterprise, its Supreme Court propounded the doctrine that when “one devotes his property to a use in the public interest which the public has an interest, he, in effect, grants to the public an interest in that use and must submit to be controlled by the public for the common good” ( Munn vs Illinois 94 U.S. 113, 126 (1877). This is the doctrine of private utility affected by public interest. Legislative competence is beyond challenge. It is only right that the power should be exercised in a conciliatory spirit. There is and can be no issue as to the RTI. On the other points – age bar, tenure, etc. – the government must engage in quiet and earnest talks with the BCCI, other sports bodies, sportsmen of note and, indeed, the public at large. In the face of all this, it would be a betrayal of the public interest to leave this rogue elephant at large. The Right to Information Act (RTI) is a path-breaking law which empowers ordinary citizens to obtain the required information from the public authorities. This is also a major tool for preventing and fighting corruption. The media have been highlighting from time to time the positive work being done by RTI activists. But the experience in the last few years reveals that implementation of the Act has got distorted. Section 4 is the cornerstone of the Act. It stipulates that “it shall be the constant endeavour of every public authority to provide as much information suo motu to the public at regular intervals through means of communication, including internet so that the public have minimum resort to the use of this Act to obtain information.” The Act goes to the extent of identifying certain specific areas of information which the authorities have to publish in the public domain within 120 days of the enactment. This critical aspect of the RTI Act has not received the attention it deserves from the authorities, the Central and State Information Commissions or even RTI activists. This has led to the burdening of government organisations as well as the Central and State Information Commissions with a large number of individual applications seeking information and filing appeals, clogging the system. The Information Commissions will soon reach a stage where pending matters will take years for disposal, thus making the system dysfunctional. Every public authority, especially those having a large public interface, needs to take up the challenge of fully implementing Section 4 at the earliest. Computerisation of government records is not merely a process of conversion of manual records. The challenge lies in re-engineering the business processes and then computerising the records in such a manner that it simultaneously leads to improvement in the efficiency of the organisation and maximising the availability of information in the public domain in formats which are useful to the general public or the stakeholders. While there is no explicit mention of the role of the CIC and the State Information Commissions in this regard, it is inherent in the very scheme of the Act that the Information Commissions have to play a pivotal role in ensuring that Section 4 on maximising information in the public domain is complied with. The Information Commissions can take the cue from the directions issued by the Central Vigilance Commission (CVC) in November, 2006. -Application for allotment of land/flats, etc., by urban development agencies like the DDA. -Applications for registration of contractors/suppliers/consultants/vendors, etc. -Status of all bill payments to contractors/suppliers, etc. Issue of driving licences, registration of vehicles, fitness certificates, release of impounded vehicles, etc. by the RTAs. The same exercise can be carried forward by the Central as well as State Information Commissions. If the Information Commissions construe their responsibilities in a very narrow manner and take a view that they can only act on complaints, then civil society, the chambers of industries and commerce and RTI activists can lodge complaints wherever maximum possible information has not been placed in the public domain on websites or otherwise and the Information Commissions can issue directions to the public authorities in this regard. The full potential of the RTI Act can be realised only by maximising information in the public domain. This would not only further the cause of right to information but also upgrade and modernise the working of government agencies, thus improving governance. Information which promotes transparency and accountability in the working of every public authority, disclosure of which may also help in containing or discouraging corruption (enumerated in clauses (b) and (c) of section 4(1) of RTI Act). Other information held by public authority (that is all information other than those falling under clauses (b) and (c) of section 4(1) of RTI Act). Information which is not held by or under the control of anypublic authority and which cannot be accessed by a public authority under any law for the time being in force.Information under the third category does not fall within the scope of RTI Act. Section 3 of RTI Act gives every citizen, the right to ‘information’ held by or under the control of a public authority, which falls either under the first or second category. In regard to the information falling under the first category, there is also a special responsibility upon public authorities to suo moto publish and disseminate such information so that they will be easily and readily accessible to the public without any need to access them by having recourse to section 6 of RTI Act. There is no such obligation to publish and disseminate the other information which falls under the second category. “(2) It shall be a constant endeavour of every public authority to take steps in accordance with the requirements of clause (b) of sub-section (1) to provide as much information suo motu to the public at regular intervals through various means of communications, including internet, so that the public have minimum resort to the use of this Act to obtain information. 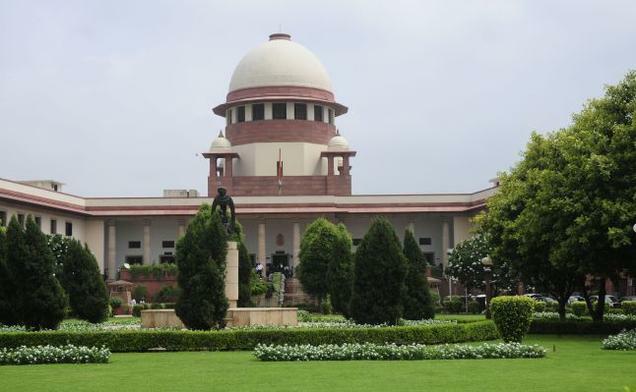 Some High Courts have held that section 8 of RTI Act is in the nature of an exception to section 3 which empowers the citizens with the right to information, which is a derivative from the freedom of speech; and that therefore section 8 should be construed strictly, literally and narrowly. This may not be the correct approach. The Act seeks to bring about a balance between two conflicting interests, as harmony between them is essential for preserving democracy. One is to bring about transparency and accountability by providing access to information under the control of public authorities. The other is to ensure that the revelation of information, in actual practice, does not conflict with other public interests which include efficient operation of the governments, optimum use of limited fiscal resources and preservation of confidentiality of sensitive information. The preamble to the Act specifically states that the object of the Act is to harmonise these two conflicting interests. While sections 3 and 4 seek to achieve the first objective, sections 8, 9, 10 and 11 seek to achieve the second objective. Therefore when section 8 exempts certain information from being disclosed, it should not be considered to be a fetter on the right to information, but as an equally important provision protecting other public interests essential for the fulfilment and preservation of democratic ideals. When trying to ensure that the right to information does not conflict with several other public interests (which includes efficient operations of the governments, preservation of confidentiality of sensitive information, optimum use of limited fiscal resources, etc. ), it is difficult to visualise and enumerate all types of information which require to be exempted from disclosure in public interest. The legislature has however made an attempt to do so. The enumeration of exemptions is more exhaustive than the enumeration of exemptions attempted in the earlier Act that is section 8 of Freedom to Information Act, 2002. The Courts and Information Commissions enforcing the provisions of RTI Act have to adopt a purposive construction, involving a reasonable and balanced approach which harmonises the two objects of the Act, while interpreting section 8 and the other provisions of the Act. At this juncture, it is necessary to clear some misconceptions about the RTI Act. The RTI Act provides access to all information that is available and existing. This is clear from a combined reading of section 3 and the definitions of ‘information’ and ‘right to information’ under clauses (f) and (j) of section 2 of the Act. If a public authority has any information in the form of data or analysed data, or abstracts, or statistics, an applicant may access such information, subject to the exemptions in section 8 of the Act.But where the information sought is not a part of the record of a public authority, and where such information is not required to be maintained under any law or the rules or regulations of the public authority, the Act does not cast an obligation upon the public authority, to collect or collate such nonavailable information and then furnish it to an applicant. A public authority is also not required to furnish information which require drawing of inferences and/or making of assumptions. It is also not required to provide ‘advice’ or ‘opinion’ to an applicant, nor required to obtain and furnish any ‘opinion’ or ‘advice’ to an applicant. The reference to ‘opinion’ or ‘advice’ in the definition of ‘information’ in section 2(f) of the Act, only refers to such material available in the records of the public authority. Many public authorities have, as a public relation exercise, provide advice, guidance and opinion to the citizens. But that is purely voluntary and should not be confused with any obligation under the RTI Act. accountability in the working of public authorities and in discouraging corruption. But in regard to other information,(that is information other than those enumerated in section 4(1)(b) and (c) of the Act), equal importance and emphasis are given to other public interests (like confidentiality of sensitive information, fidelity and fiduciary relationships, efficient operation of governments, etc.). Indiscriminate and impractical demands or directions under RTI Act for disclosure of all and sundry information (unrelated to transparency and accountability in the functioning of public authorities and eradication of corruption) would be counter-productive as it will adversely affect the efficiency of the administration and result in the executive getting bogged down with the non-productive work of collecting and furnishing information. The Act should not be allowed to be misused or abused, to become a tool to obstruct the national development and integration, or to destroy the peace, tranquility and harmony among its citizens. Nor should it be converted into a tool of oppression or intimidation of honest officials striving to do their duty. The nation does not want a scenario where 75% of the staff of public authorities spends 75% of their time in collecting and furnishing information to applicants instead of discharging their regular duties. The threat of penalties under the RTI Act and the pressure of the authorities under the RTI Act should not lead to employees of a public authorities prioritising ‘information furnishing’, at the cost of their normal and regular duties. The only explanation for the government’s decision to exempt the CBI from the ambit of the Right to Information Act is that the agency would not like to be accountable for its extra-Constitutional or discretionary activities. The Union Government’s decision to place the Central Bureau of Investigation (CBI) outside the ambit of the Right to Information Act has come under sharp criticism. They do not seem misplaced either. However, bonafide protection in the field of investigation already exists under section 8 (h) of the Right to Information Act that provides “….there shall be no obligation to give any citizen information which would impede the process of investigation or apprehension or prosecution of offenders…” That applies not only to CBI or other central investigating agencies, but also to similar agencies of all the state governments as well. The decision to exempt the CBI from the RTI Act is sought to be justified on the grounds of national security and possible impact on intelligence gathering. It must be made clear in no uncertain terms that the CBI is neither an intelligence gathering agency nor a security organisation. It is an investigative agency assigned legally the job of exposing rather than concealing. By the very nature of its work, the CBI has to be an open organisation notwithstanding the sensitive cases that it may be dealing with. The sensitivity in the context of the CBI is when it deals with cases against the high and the mighty “…in the investigations of which one was expected to conceal more and expose less…” It is precisely for this requirement on the ground, as against the legal or operational requirement of the CBI, that such secrecy is needed. Functionally, as against an intelligence organisation that requires total protection from transparency, investigations actually require complete transparency after a certain stage. It is only the premature disclosure of information during the investigation that usually gives undue advantage to the accused, who may cover his tracks, destroy the evidence and scuttle the investigation. But once the charge sheet has been filed, there is no requirement for any further protection. Incidentally, all the evidence to be relied upon is communicated to the accused person so that he may prepare his defence. Once it is filed in the court of law, the charge sheet also becomes a public document. Some of the information collected during investigations and contained in the case diaries of the agencies may not be shown in the charge sheet as that may be related to the security of the witness or of the accused and, therefore, not advisable to be brought in the public domain. Such information and documents, on which the prosecution does not rely, are already protected under the Criminal Procedure Code and the Evidence Act. However, to meet with the ends of justice and to ensure that nothing is held back, the court trying the case has a right to look into all these documents and to use them as per its discretion. The prevalent laws are quite adequate. Further secrecy, particularly for the CBI in corruption cases, is designed only to protect the people in high places. As such there is no necessity for any further privilege for any investigating agency in the country under the Right to Information Act. As a former CBI officer having fought the corrupt system from inside the government, I concluded that the CBI under the control of the government has to conceal more than reveal, against its lawful role of collection of facts truthfully and impartially without any fear or favour. The exemption given to the CBI is an extremely retrograde step; it is going backwards and is completely undesirable and redundant. This will only encourage criminality and corruption in the government and may not leave even the CBI untouched as more you keep things under wraps, the more liable the process is likely to be misused by everyone. This will only create another class of privileged people who would be beyond the operation of laws. Coming to the experience of other countries, such kind of protection has never been given to any agency in those countries that boast of the Rule of Law or uphold Human Rights. Are we going to negate the rule of law that our constitution enshrines? In India, however, such steps by the governments to protect the high and mighty have been fairly common. The other instance is an investigation abroad that was to be conducted against a highly placed accused. That required a Letter Rogatory from the Indian Court to the court of the country where the investigations were intended to be conducted. Under section 166 of the Criminal Procedure Code, any officer in charge of a police station can apply for such a letter. In 1993, a VVIP was to be protected, so the government modified the procedures by an executive order that the CBI should apply to the court for the LR only after obtaining permission from the government, thereby the possibilities of investigation abroad against any influential person were virtually closed, as the government could deny and did deny such permission indefinitely. So, there could be no investigations abroad, though the VVIP was accused of receiving kickbacks, keeping huge balances in banks abroad and acquiring a number of firms, in India and abroad. So much so, that power to apply for letter rogatory, vested in the SHO under the Code of Criminal Procedure, was withdrawn from the CBI and concentrated in Government of India and that too in the PMO (as was informally learnt), leaving nothing to chance. Though the papers were pending with the Union Government for years but still this fact could not be made public by the CBI, as that would have amounted to censuring the Government, which the CBI under the control of the government itself could not afford. It is hard to understand why an agency concerned with investigating corruption should be exempted from the RTI Act. But the government has done just that: and done it against the protests of the strongest voices including people like a former Chief Information Commissioner. The exemption is particularly disturbing because it signals the ability and the inexorable desire of the government to slowly but steadily nibble away at people’s right to know. Detractors can be forgiven for feeling that the exemption from disclosing information about its functioning now offers the government a fine convenience to protect ‘its own’: bureaucrats in high places, opponents inside and outside; disgruntled business rivals who would probe why another is the favourite of the day; politically useful friends whose messes embarrass the government all the time; the biased investigations that wax and wane in vigour. With graft gnawing at the edifice of governance, squirreling away the CBI from the public eye adds one more excellent tool to the cause of the corrupt. It will join the already handsome protections provided to the bureaucracy through the law that say, you cannot even begin an investigation against senior officers without specific permissions, let alone prosecute them for corruption. This is in line with the protections that the seniors in the judiciary have built in for themselves. Even an FIR cannot be filed against a High Court or Supreme Court judge accused of corruption, without the sanction of the Chief Justice of India. The CBI is a most powerful hound in the kennels of whoever has the lease of the house for the moment. So it is unlikely that the Opposition will create any great furore in defence of openness beyond making the right noises. More likely it will satisfy the obsession to always criticise every move of the government with a drizzle of tepid criticism on the mountain already being heaped on government because of its handling of the Anna-Ramdev affair. There is no doubt that this latest attack on RTI is intended to stem the deluge of dirt that is gushing out as the public wants to know who has dirty hands, and want to be governed by only those with clean ones. But with corruption being now such a complex cloth of connections, revelations tumbling out one after the other about powerful individuals are likely to threaten not only the government of the day but the whole edifice of governance. Perhaps this is exactly the catharsis that is needed but in all likelihood may never be allowed to happen. The chaos is too hard to even contemplate, let alone prepare for controlling it. There is no rational argument for taking the CBI out from under the RTI Act. It is not an intelligence agency nor is it guarding national security like the armed forces. It is essentially an anti-corruption watch dog and prosecutor which has, over time, been subverted into a catch-all agency governed by whoever is ruling at the Centre. 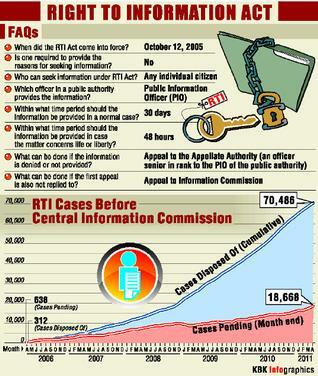 Nothing in the RTI Act hampers its working. If a particular disclosure has the possibility of adversely affecting its investigations, it can simply fall back on one of the many exemptions that are readily available in the Act. But going through that process would mean that the refusal to disclose could be challenged before the Central Information Commission and the Bureau would have to give an account of itself; its actions, its reasons for secrecy and its progression of each case. It is this accountability that it wants to avoid perhaps because it knows a lot of its discretionary actions will not stand up to scrutiny. A blanket ban for an agency like the CBI is so useful for hiding inconvenient truths. India’s national motto –satyameva jayate- goes for a toss when dark deeds are rewarded with opaque robes of impunity. By retracting its decision to insulate the CBI, the Centre might like to give itself a fig leaf of a chance at running a decently transparent government.